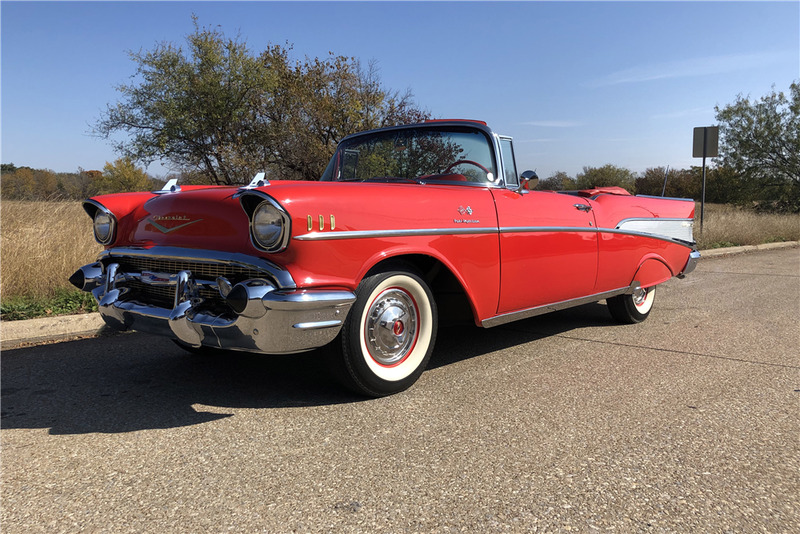 This 1957 Bel Air convertible underwent a professional frame-off restoration and is powered by a fuel-injected 283ci V8 engine mated to a 2-speed automatic transmission. It’s finished in its original factory paint color of Matador Red with the correct original silver and red interior, complete with a new convertible top. 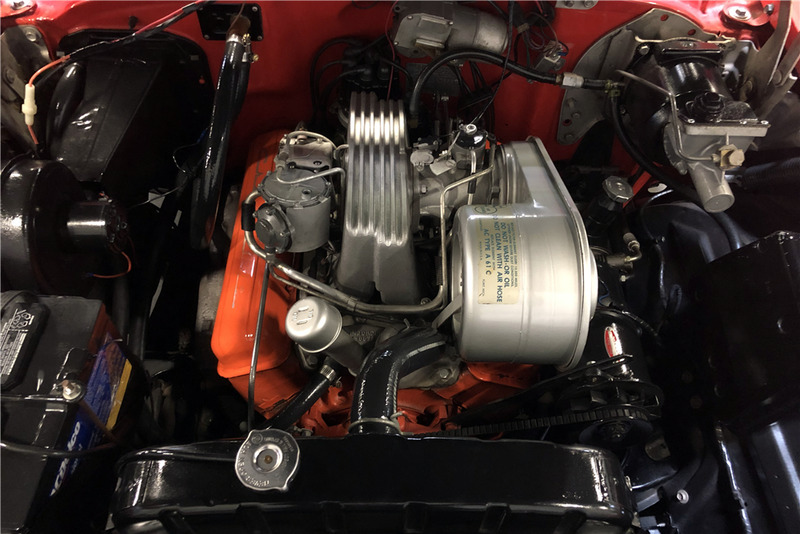 This Bel Air has no aftermarket modifications, and was restored to its factory specifications. Some notable options include factory power brakes and steering, and a Continental kit. This Bel Air was an AACA First Place award winner at the 1996 Grand National Meet in Alabama, and was crowned Grand Champion at the 2013 Dallas Classic. A complete engine-out refresh was completed in November 2018, and features correct T3 headlights and a correctly finished undercarriage in red oxide. Trophies and the AACA plaque are included, as well as some photos of the recent restoration. This Bel Air convertible was built with no expense spared.